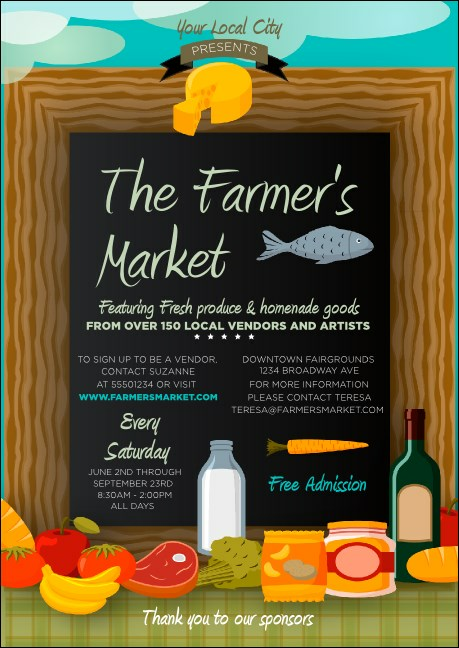 Let everyone know about the local artisanal goods at their fingertips with the Farmer's Market Postcard Mailer. Illustrated in bright color, an array of fresh goods stand beside a classic menu chalk board presenting your event’s who, what, where, and when. Upload your mailing list and we’ll send out via USPS First-Class Mail. Size is 4.25" x 6"
Entice the community to attend your function with the right postcard mailer from TicketPrinting.com.